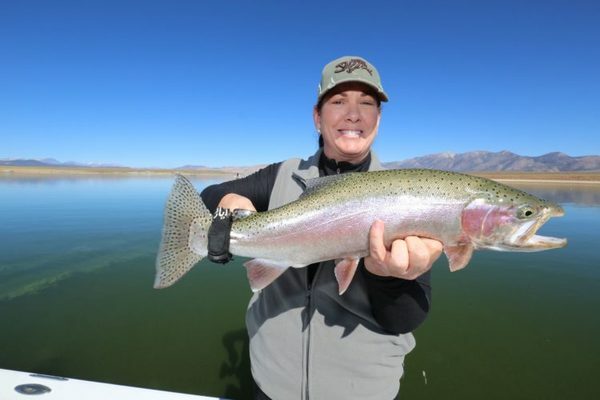 Former president of the Deep Creek Fly Fishers Robin Johnson had an epic half day on Crowley. She used a dark Assassin/crystal copper tiger midge combo to fool a dozen fish over twenty inches. Fun day RJ, nice work!